This may come as a surprise to you, as it did to us at AsktheJudge.info. Some states make it a crime to take a picture of your election ballot. 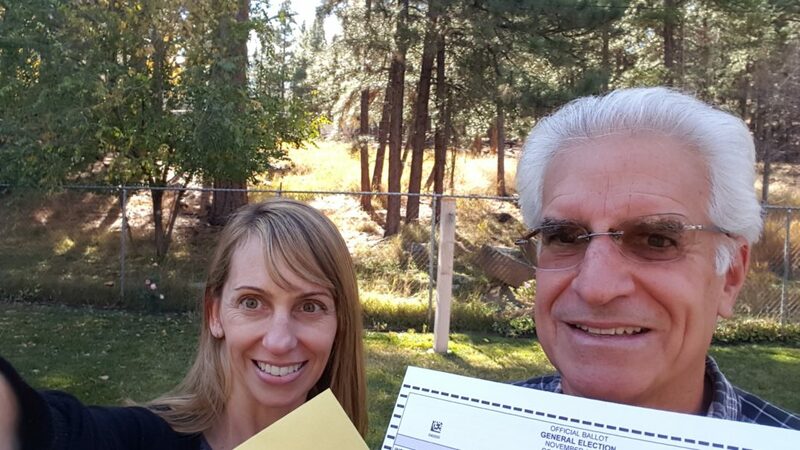 With the state of technology today, some are taking selfies with their ballot, filled out or left blank. In some states, this could lead to formal charges and fines or jail time if convicted. For example, in Colorado, publicizing a completed ballot is a misdemeanor. Recently, ballots have been seen on social media, posted by early voters. Bans on selfies have been struck down in New Hampshire and Indiana. In California, a bill was passed in September, 2016, that repealed a law that barred people from showing their marked ballots. On the opposite side of this issue is the state of Virginia. There, no law prohibits a voter from taking pictures of themselves voting, fellow voters or their ballot at the polling place. So, contact your local elections office and find out what the laws are in your state about taking pictures at the polls or taking a selfie with your ballot and posting it online. Here is an article from the Associated Press on October 23, 2016 covering some state laws on the subject. Make sure you get to the polls on election day.